Do you select a home renovation based on increasing your home’s value, or do you choose something you can live with and enjoy, simply because you want it? Here are three top renovation projects that can do both. The bathrooms are one of the first areas to be scrutinized when potential buyers check out your open house. While retro can have a cool vibe, and many appreciate the vibrant tile choices of the 60’s and 70’s, buyers don’t appreciate worn bathtubs and fixtures. A smaller renovation can leave the classic retro feel that aligns with your vintage home, while removing those elements that date the space, such as gold fixtures and faux marble countertops. Join forces with an experienced professional to determine how to blend the old and new to create something that you’ll love now, and later, when or if, you decide to sell. It isn’t necessary to start from scratch, but it is necessary to find a skilled remodeler that can bring your vision to life. Ask to see their work before you sign on the dotted line to ensure you’re a good match for each other. While you may be tempted to clear the space and start over, if your kitchen has good bones, that may not be necessary. 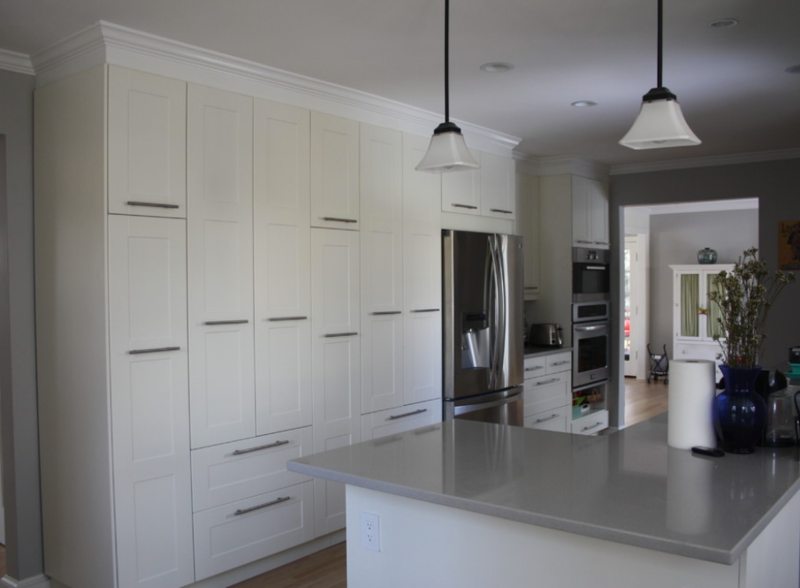 Cabinetry can be refinished and modernized. Tired linoleum can be removed to make way for new laminates. And kitchen counters run the gamut. Yes, granite and Formica are two good choices, but there are a whole host of composite materials available, not to mention wood and concrete. The DC metro area is a destination for visitors from across the globe. Creating a private guest suite in your existing home can be the start of a lucrative side business that you can run according to your own schedule. Consider renovating an unused bedroom, or exposed basement, or even adding a second-story suite to your garage. Providing a private space, complete with separate entrance, can attract business and vacation travelers seeking a quiet respite from the city. Need more ideas? Consult with a renovation professional and start thinking about what changes you can make, to benefit you now, and later.